Edifier might not be a name that you are overly familiar with, but it’s one that has been making some great audio equipment without making too much of a fuss about it. 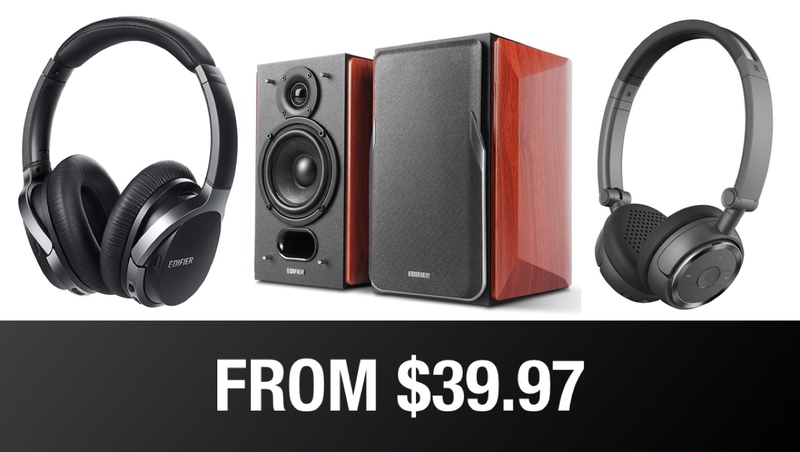 Right now Amazon is offering a number of Edifier products at discounted rates, so now is definitely the best time to start acquainting yourself with the brand. If the brand name does’t sound like one you should be trying out, all we will say is that a lot of people who know more about audio than we do have been known to go for some of the Edifier bookshelf speakers over those with a Sonos label on them. That’s quite the statement to make, so you should probably give these things a second look before discounting them. Thankfully, Amazon’s discounting them instead! Who doesn’t love a good pun? So, what’s on offer right now? There are some noise cancelling headphones as well as some standard wireless headphones for those who want something a little less costly. If you’re looking for something to fill a room with sound, rather than just your ears, then there are some bookshelf speakers on offer right now, too. Basically, there’s something in here for everyone and you’ll definitely find a product that fits you best. We don’t expect any of these prices to be around for too long, so be sure to get your order in before it’s too late.